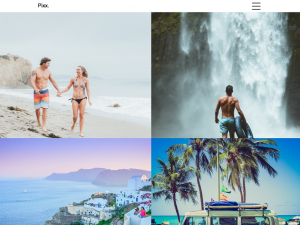 Pixx portfolio is a free WordPress Ajax portfolio theme built for digital agencies, creative portfolio, photography sites, design studio, illustrators & any content creator. Brix portfolio is freely availble, use posts to create portfolio items and display them on a modern responsive grid. Want a more professional look? upgrade to the pro version for detailed portfolio pages with video and image galleries, a modern looking homepage for a portfolio you’d be proud to share.